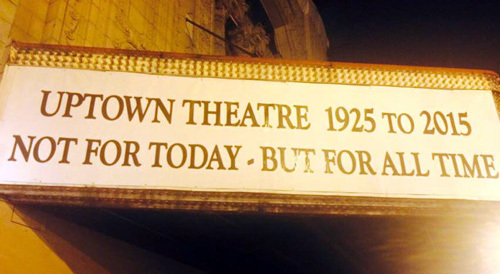 An observant reader saw this new sign on the marquee of the Uptown Theater on Friday, and wondered what it meant. The theater marks the 90th anniversary of its opening on Tuesday, August 18th. 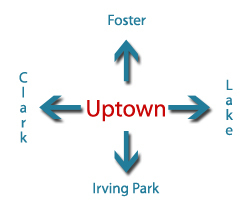 When it opened its doors in 1925, one of its architects, C.L. Rapp, wrote an article about its design and construction for Balaban & Katz magazine, using the title, "Not For TODAY -- But For All TIME." While we hope someone can find the funding to restore this gem, there's a lot of attention being focused on the theater these days, like the front-page story in the Tribune last Sunday. 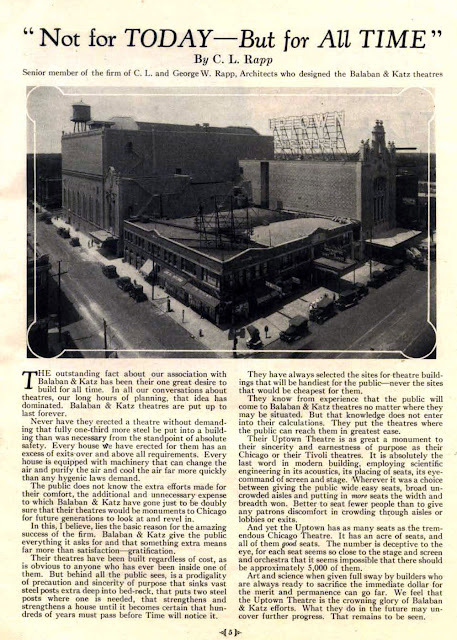 If you'd like to read the magazine from the Uptown's opening week 90 years ago, the wonderful Uptown Chicago History blog offers a PDF of the Balaban & Katz magazine featuring the theater's opening. 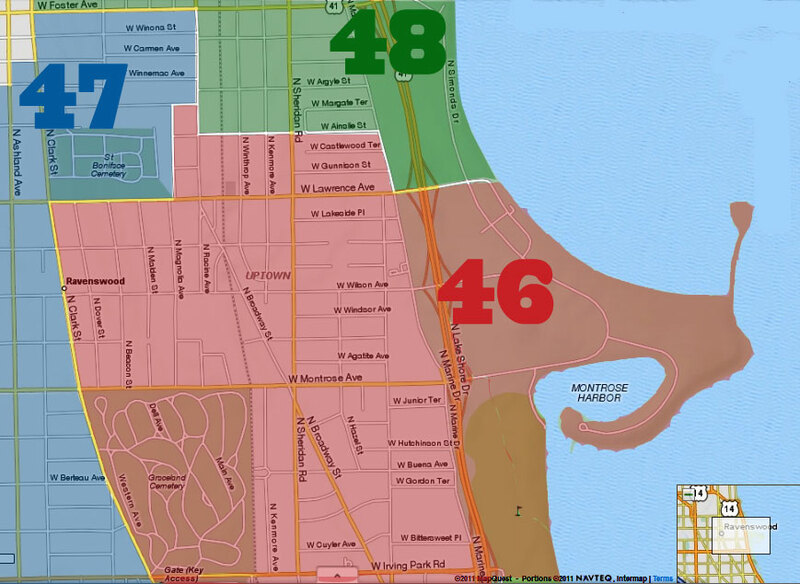 "An Acre of Seats in a Magic City"!